Hope you all are having a great week. Lots happening this week please see below. **Space Jam Trailer Packing – This Thursday we will be loading the trailer for Space Jam. The trailer will be leaving mid-day on Friday so everyone’s gear will need to be loaded Thursday. Be at the admin building at 6:15 to load your gear. Also make sure you bring your $12 Food Money & $25 Gas Money. Any leaders that have not paid their $45 please bring it also. **This Thursday 7/31 we will be going to Forest Park for Geochching – Please meet at the Admin building at 6:15. Once we see how many Scouts are going, we will determine how many cars we will take. We might need some parents to drive so be prepared please. **Troop Elections – Also scheduled for Thursday are our Troop Elections. You will be voting on your Senior Patrol Leader as well as your Patrol Leaders. Please be there to cast your votes!!! **Space Jam Departure – We will be meeting at 6:00 Friday evening. Please be there already fed and ready to go. I’m sure i’m forgetting something. Boys will need to remember cups, water bottles and mess kits for the weekend. Just a reminder about Nate’s project tomorrow. Please where old clothes because you will be doing work. Please bring safety glasses and gloves! Lunch will be provided at the church. I will be at the scout meeting the week of my project to discuss the tool situation, power tools, etc. Thank you to all that came to help me with my Car Wash! I couldnt have done it without you guys. Im proud to say we have raised 360$ for my Eagle scout project. Your service hours were recorded and emailed to Mr. Piel. My Project is next week and Id love to see you there. Thanks A Lot! Hope everyone is enjoying their summer so far. Just a couple of notes. **Next Thursday 7/31 we will be going to Forest Park for Geochching – Please meet at the Admin building at 6:15. Once we see how many Scouts are going, we will determine how many cars we will take. We might need some parents to drive so be prepared please. **Space Jam – Hard to believe that next weekend is August! If you are signed up to go to Space Jam, please bring your $12 food money and $25 gas money to the Admin Building on 7/31. If you are taking it out of your account, please let Cara know NLT 7/29. I guess that is it for now. More info to come about when we are leaving for Space Jam. Sam Janavicius will not be at the 7/31 meeting. He is on vacation. Reminder that this Thursday we will be doing a bike hike on the Grants Trail. We will meet at 7pm at the Orlando Gardens trail head off of Union, bike for a period of time and turn around and come back. About an hour or so. Since Mr. Edgar, Mr. Ham, Mr. Waeltermann and myself will be taking our new OA candidates to S-F for their overnight, Mr. Wagoner, Mr. Krakos and Mr. Swarts will be heading the bike hike up. Any parents who want to ride along and help out are more than welcome. Our next Troop meeting will be 7/31 at Forest Park for geocaching. More info to come!! Please respond to Nate at the e-mail below about helping out with his Eagle Project. Remember, you too will be doing one yourself one day and will need help as well!! My name is Nate Keightley. As you may or may not know I am a Life Scout working toward my Eagle. Down below will be the dates of my project and fundraiser. I need you guys to help me! For any scouts ranking up, this is a good source of service hours. My fundraiser will be a car wash. Simple, but my project is building 8 shelves. Each shelf will have 3 hooks, 3 cubbie holes and an interchangeable name plate above each hook. They will be hand cut, painted and routed. Feel free to wear water clothes and keep electronics away so they don’t get wet. Please bring towels, buckets and sponges! Lunch will be provided at the church. Please R.S.V.P to nate.keightley@gmail.com or emailtomkeightley@gmail.com by July 14, 2014. I’d like to get an idea of how many scouts can help. Kenny, Alex, and I will be there. be attending both fund raiser and project. 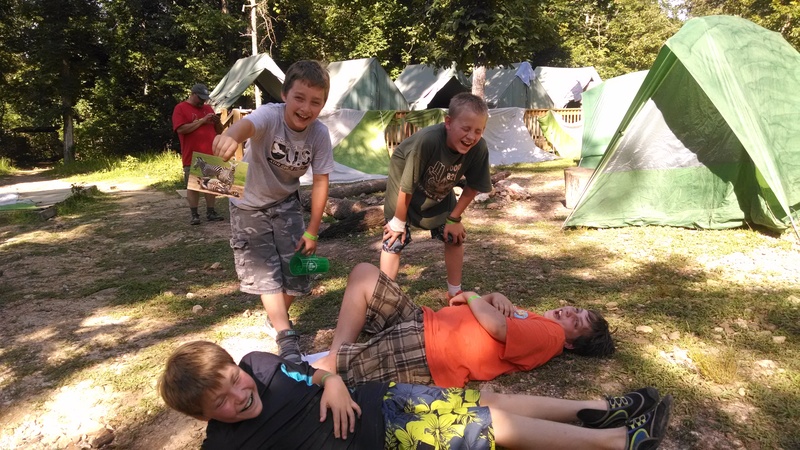 Troop 821 Dominates Camp KIA Kima! Be proud of you boys winning 1st place in all the events they entered! 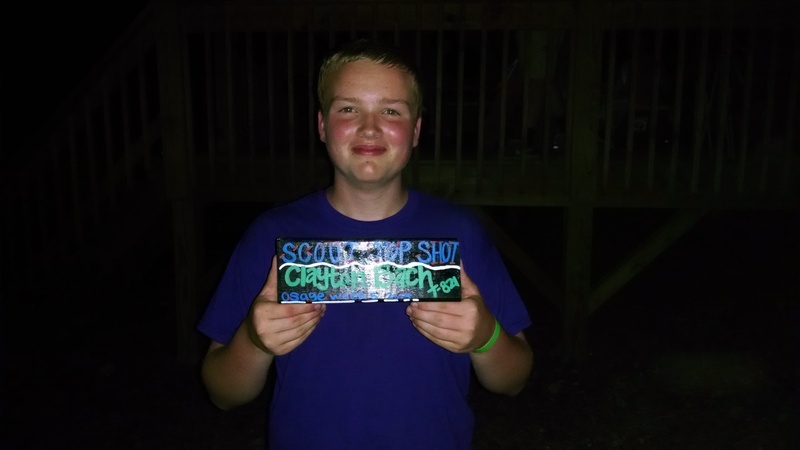 And our own Clayton Bach winning the camp Top Shot award with the highest combined score in Archery, Rifle & Shotgun! Today is the final day at camp. Boys will be spending the day taking care of any loose ends that need to be finished up. You can be proud of our boys for totally dominating the sports challenges by winning both the volleyball and dodge ball events yesterday!!! The boys are looking to dominate again in finishing off the Staff in a volleyball playoff. It’s been a great week – can’t believe we go home tomorrow. We are still hoping to be rolling by 8ish to be back at the admin by 1ish. We will do our normal call as we are getting back into town. I know everyone will be excited to see their Scouts and will be ready to hear all about it as you make your way home tomorrow. If I could please make sure your Scout is helping to unload the trailer, also I would ask you not to leave the admin until I release you all. We need all they boys to help get the trailer unloaded, as well as make sure any loose gear is accounted for. Thanks for letting your Scout come to camp. This will be a week they will remember forever. Today is the last official day of merit badge classes. Tomorrow is make-up and open area day. Today was also leader appreciation lunch. 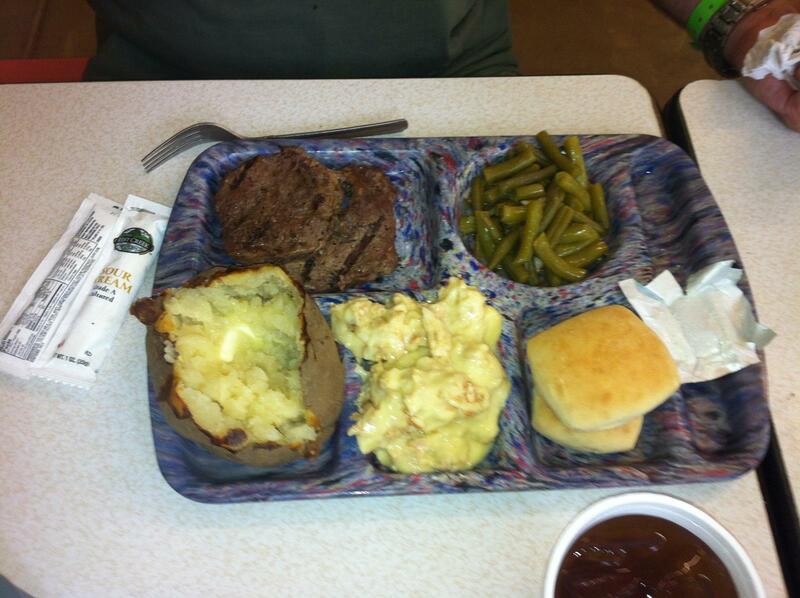 We had steak, chicken, baked potatoes and much more! Pretty Rough! Kids are all doing great! This picture reminds me of a bunch of Zebras laughing & having a great time! Based on a card Colin received! Boys are having a great time!